He told House magazine when John Bercow stands down, his successor must focus on "tending to the wounds" caused by Brexit rows and harassment scandals. Referring to the controversy surrounding the Speaker's impartiality, Mr Bryant said he thought MPs had "all been a bit bloodied and bruised of late, and the next Speaker has got to be somebody who is going to tend to those wounds a bit more". The Labour MP for Rhondda said he would stand for the role - which is elected by MPs in a secret ballot. 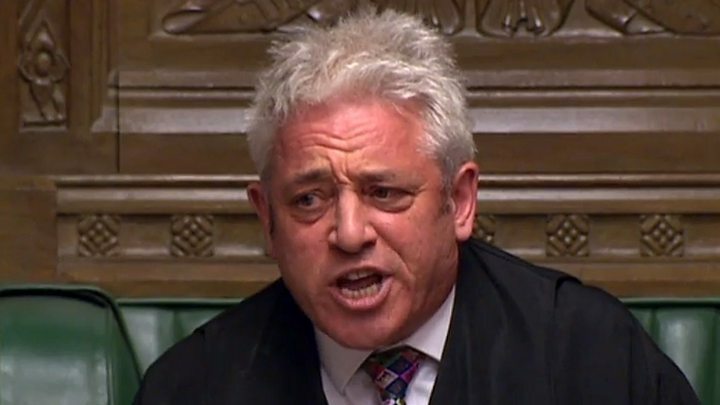 He said he would "do everything in my power not to belittle or diminish or lecture MPs from the chair, but, insofar as it is possible, to respect every single person". Mr Bryant also said he would like to open up the Speaker's residence in the Palace of Westminster to welcome international guests and MPs' spouses. "I think spouses of MPs get a rough time, so I'd quite like to have some events in Speaker's House which are either exclusively or primarily for MPs and their spouses, or maybe just for spouses," he said. Under a Chris Bryant speakership, parliamentary staff could find themselves in charge for the day. "I'd like to have some kind of event for the staff who run the building on the 6th January, with MPs serving," he said. Writing in The Times, Labour MP Gloria de Piero and Conservative MP Nicky Morgan said electing another man to the position would be a "missed opportunity" and a "setback". They argue that a female speaker would show "the outside world that our parliament is no longer the old boys' network of the past". The MPs did not specify which woman they would like to see as Speaker but wrote that "it needs to be a woman with a proven record of standing up for other women". Labour's former deputy leader Harriet Harman - who has previously said she would consider the job if there was a vacancy - re-tweeted the article. Labour MP Sarah Jones jokingly urged her colleagues to "steady on" adding that "two women Speakers in 600 years is a bit too fast". 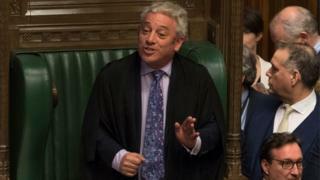 A spokeswoman for John Bercow has said: "The Speaker was elected by the House in 2017 for the course of the Parliament. "In the event he has anything to say on his future plans, he will make an announcement to the House first."